These days, there are many firms that advertise as handling Arizona Workers' Compensation claims. Any lawyer, or law firm, can make these claims. Many firms that specialize in Personal Injury advertise for and take workers' compensation cases. Why should you choose a specialty firm over one of the Personal injury firms? First, workers' compensation law is a completely different animal than personal injury law. Workers' Comp is a no fault system where the injured worker is paid a percentage of his wage loss for temporary and permanent benefits. All of the medical expenses are covered, with no copays or deductibles. Personal Injury law is structured as a system where medical bills are gathered, fault is assessed and debated, and demand is made for damages. Most cases are settled with a full release of liability. Workers' Comp, on the other hand, is designed for long term care of the injured worker. Injured workers should be extremely careful before " settling. " (Actually, the exact term is Compromise and Settlement, and represents a temporary agreement as to an injured workers' entitlement to benefits, said agreement subject to future modification by reopening, rearrangement and motions). Settlement amounts act as a credit against future benefits. Generally, a personal injury firm's model is to settle cases and move on. You don't want this model if you want to maximize the long term benefit of your workers' comp claim. What you do want is protection in the future. We can resolve claims and maintain medical care into the future. This is of benefit to many clients, and is part of our philosophy of " having our client's backs" for the duration of their claim. Another factor is bookkeeping. When you retain an attorney, all documents , checks and communications are directed to the law firm. The checks must be placed in trust and disbursed to the injured worker. Our firm charges a minimal fee on ongoing benefits. Many PI firms and competitors charge as much as 25% of every single check received on behalf of the injured worker. This often results in overcharging. Beware. The State Bar of Arizona certifies certain specialties, and workers compensation is one of those specialties. You pay no more for a firm with certified specialists, and in many cases ( see above) the injured worker pays less. 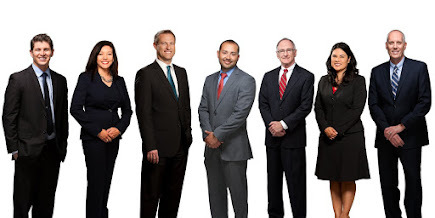 Our firm has two specialists, including myself. Many PI firms have no specialists and saddle the client with a sometimes very inexperienced attorney. Experience matters, especially in a system where medical evidence is so vital. An injured workers' unresolved legal issues ultimately go before a Judge at the Industrial Commission of Arizona. Having an attorney who has done hundreds and thousands of these hearings makes a difference. I hope that this brief post is helpful to injured workers and their loved ones. Contact us any time for a free consultation. Thank you.